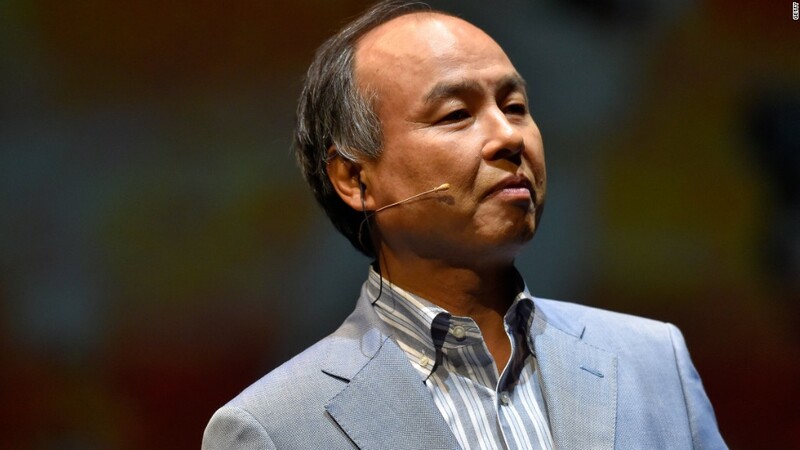 Japanese tech billionaire Masayoshi Son is doubling down on Sprint after his grand plan to merge the struggling U.S. wireless carrier with T-Mobile fell apart. Son's company, SoftBank (SFTBF) -- which already has an 83% stake in Sprint -- said Monday that it will buy more of the stock but will keep its holding below the 85% threshold that would trigger a public offer for all the remaining shares. Son, who some analysts recently described as the Warren Buffett of tech, has been trying to bring Sprint (S) and T-Mobile (TMUS) together for years. But the Oracle of Tokyo failed to make his vision a reality: merger talks were abandoned over the weekend. "Sprint could well end up as an albatross around Softbank's neck," said Dan Baker, an analyst with research firm Morningstar. The risks include fierce competition in the U.S. wireless industry and Sprint's need for investment as carriers shift to 5G technology in the coming years, he added. Son, who's often referred to as "Masa," has made a name for himself as an ambitious tech investor. He put money into Chinese e-commerce giant Alibaba (BABA) early on and launched a massive tech fund, worth close to $100 billion, with Saudi Arabia this year. Some analysts were optimistic Son could pull off the Sprint-T-Mobile merger, which he had said was more likely to happen after President Trump took office. Research firm Bernstein, which likened Son to Buffett, said last month that Sprint and T-Mobile joining forces "would eliminate a major headache and once again prove Masa's prowess in deal making." Instead, Son spent the start of SoftBank's quarterly earnings presentation Monday explaining the failure to reach a deal. "Even though in the short term, Sprint and SoftBank share prices might drop, I feel good about this decision," he said. SoftBank shares sank 2.6% in Tokyo on Monday, adding to losses last week when reports suggested the Sprint deal was in trouble. The SoftBank earnings report also showed Sprint is sucking in money. Investment in its network and other physical assets jumped a whopping 71% in the six months that ended in September compared with the same period a year earlier. Son insists that even without T-Mobile, Sprint fits into SoftBank's strategy. "We are entering an era where billions of new connected devices and sensors will come online throughout the United States," he said in a statement. "Continuing to own a world class mobile network is central to our vision of ubiquitous connectivity."